This article describes a contingent methodology developed for the elicitation of working knowledge from policy makers within an Australian government agency. 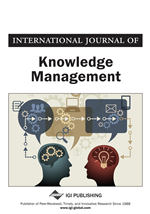 The purpose of the knowledge elicitation was to create an inventory of the kinds of knowledge required to develop complex policies for natural resource management. This inventory was then to be used for investigating knowledge management solutions to address information loss, staff attrition and operational effectiveness. Therefore a methodology was developed to combine soft systems methodology, causal cognitive mapping, and brainstorming to provide a set of knowledge requirements. The methodology appears to offer an effective platform for making sense of nonroutine, yet rigorous knowledge work, identifying all forms of relevant knowledge and articulating challenges to managing that knowledge. We locate our discussion within the conceptual space of social constructivist ontology.